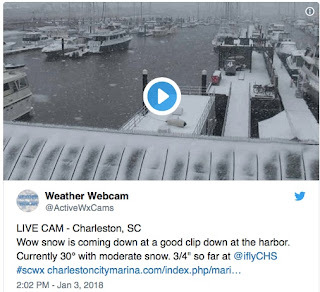 Weather impacts our daily lives regardless of where we are but living on the boat and being on the water can add a bit more drama. This was especially true on two recent occasions. 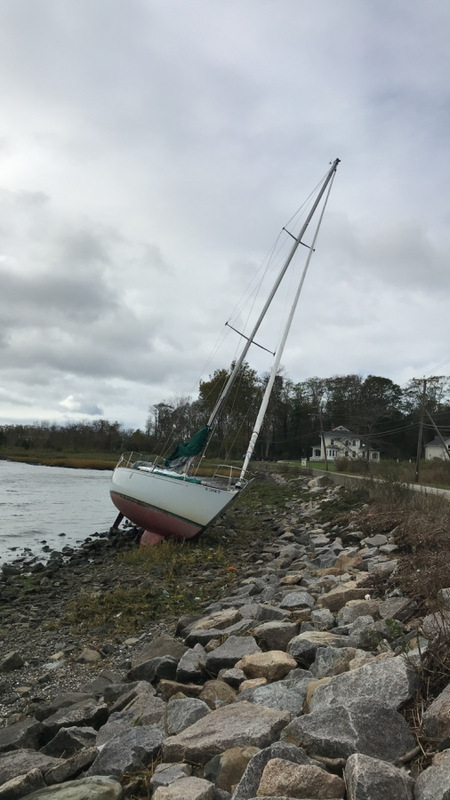 We carefully monitored the weather on October 29th onboard Atalanta in Bristol, RI when high winds and heavy rains were forecast and Mother Nature delivered. Wind gusts reached hurricane force with 81 mph recorded at Comimicut Light off Warwick at 11:15 pm. We had more than our share of gusts in the 50-60 mph range and later heard that we had been rocked by 80 mph gusts overnight. I'd never heard of bombogenesis but we experienced it. Scientifically, bombogenesis is defined as a drop of 24 millibars in 24 hours. 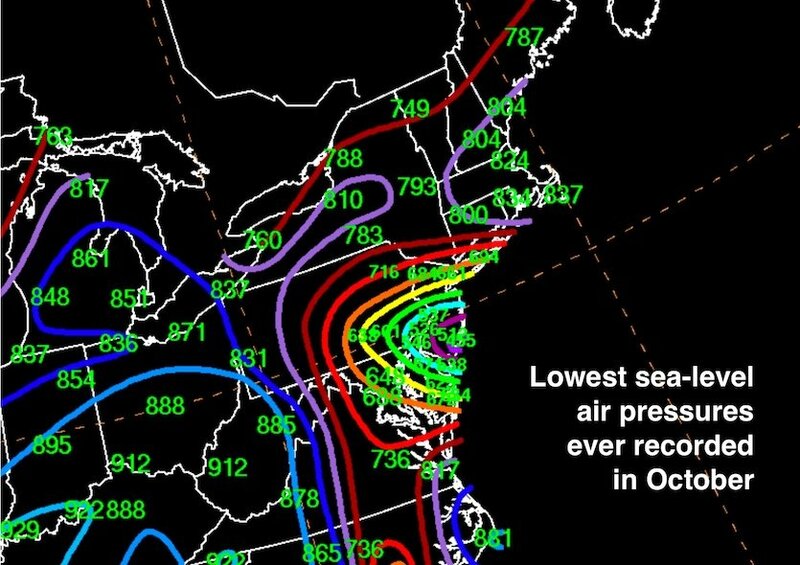 The central pressure in this storm dropped 29 millibars in just 21 hours. I (Kay) found myself feeling unusually anxious. I imagined worst-case scenarios and questioned our decision to remain onboard Atalanta. Even in a more positive state of mind, sleep would have been elusive. Atalanta tossed and pulled at her mooring but didn’t let go. Wind roared, waves washed over the decks, and every halyard in the mast banged and clanged. We shouted at each other to be heard. At sunrise, we discovered others had been less fortunate. 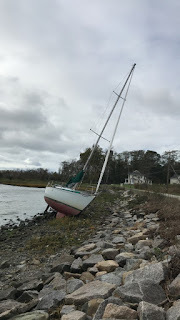 The VHF was busy with distress calls, a large sailboat was high and dry in the harbor, over 200,000 people were without electricity and 2.92” of rain had fallen overnight resulting in heavy flooding. We certainly sympathized with those who had to deal with the aftermath of the storm. The only damage we suffered was a bottle of bourbon that didn't survive its bounce on the galley floor and a few frayed nerves. We didn't depart Charleston until December 27. It was cold. It got worse. We bundled up in foul weather gear and drank cup after cup of hot coffee traveling from SC to Florida.Log entry for New Year's Day reads: 0730 - Anchor up in icy rain. Painful. Sleepless, bouncy, 35 knot night. No improvement. 1100 - Strong current in our favor on St. John's River. Will it reverse when we cross? Yup. Speed dropped from 9.3 to 3.9 kts. And snowflakes. 1550 - High wind alarm sounding. Winds over 35 kts. Spitting snow. Boat heeling in ICW! 1720 - Arrived St. Augustine. Bridge of Lions operator indicated winds gusting at 50. Somehow managed to pick up mooring. Icy deck. Safe.